High-speed, high-accuracy instrument that provides even higher accuracy for measuring LED-backlit LCD TVs by reducing errors due to variations in the peak wavelength of LED backlights. 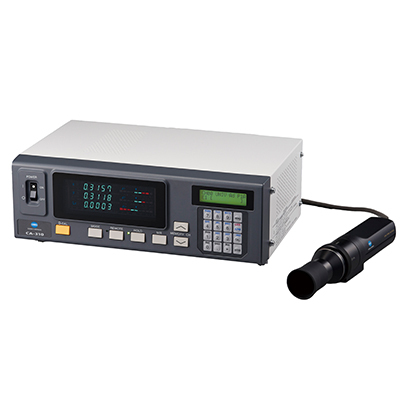 The CA-310 Color Analyzer is an instrument that gives you extremely accurate measurement readings. Using the instrument you can measure LED-backlit LCD televisions by lowering errors that are caused by variations in LED backlight peak wavelengths. 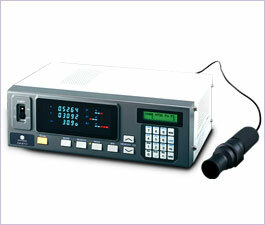 The CA-310 Color Analyzer offers enhancements over instruments like the CA-210. You can get increasingly accurate measurements when using the CA-310 color analyzer to measure LED-backlit LCD televisions, electronic devices that are growing in popularity. Another benefit of using the CA-310 color analyzer is that the instrument allows you to achieve accurate measurements when measuring standard backlights found in devices like fluorescent lamps, devices that can cause LED spectral emission distributions to vary from unit to unit. The CA-310 reduces or eliminates this variance by using color sensors that are similar to the CIE 1931 color-matching functions. This allows the CA-310 to produce increased accuracy at higher speeds at a range of luminances, including low luminances. Unique optical system and color display – four digit color display for greater precision. Connect up to 5 sensors – using the expansion board attachment, sold separately, have the capability to utilize up to 5 probes. 0.10 to 1.99 cd/m²: 5 times/sec. Flicker (Contrast) – 16(16) times/sec.